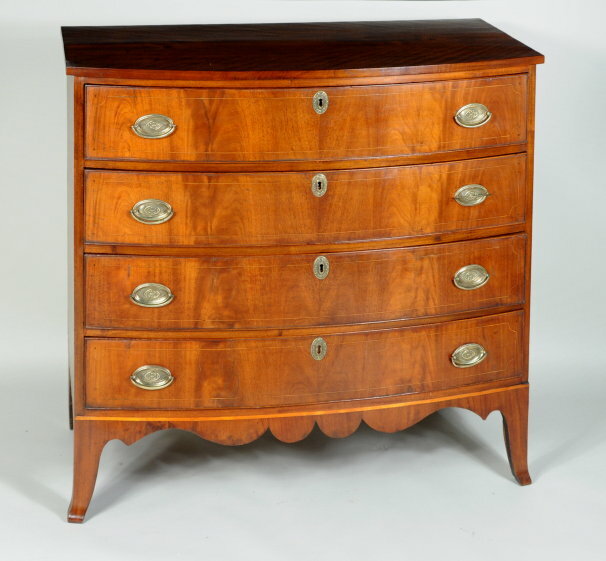 Fine hepplewhite inlaid mahogany and birch swell front chest, with conforming top and four beaded drawers with crotch mahogany veneered fronts with string inlays, raised on flaring french feet with tri-lobed shaped apron. Original condition including the hardware. Portsmouth, New Hampshire, circa 1800. 40 3/4" wide, 37 1/2" high, 21" deep.